It's difficult to know which providers is worth your while in a sea of satellite and cable television packages offered through a myriad of providers and price points. Some of your choices are limited by nature. With satellite, only two providers, DIRECTV and DISH Network, are available nationwide. 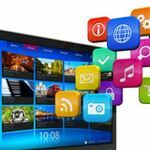 On the other hand, cable TV has options like Comcast, Charter and Verizon Fios accessible in 93 percent of the country. However, your access to providers will greatly depend on where you live. What is the Best TV Provider? Ultimately, most viewers want a breadth of channel options, a seamless TV watching experience, and great HD picture and sound quality. And they don't want to pay an arm and a leg to watch their favorite show. To help you decide if its time to reconsider your TV service, CreditDonkey has compared DIRECTV, DISH, and cable TV. Tip: Stop paying for channels you don't watch. Click here to create your own channel package at DISH or call 855-995-0963. All TV service providers are not created equally. For one, all channels are not offered by all companies. Our rankings were based on the number of HD and popular channels available on lower-tier packages as well as the number of regional and national sports channels included. Sports programming is one of the most important aspects of the channel lineup as watching live games is one of the main reasons some people keep cable around. We suggest checking the company's channel lineup and evaluating what's included in your package before you seal the deal. Of course, we also factored in the cost of each service provider. Attractive offers and lower prices for new customers are often based on locking them into contracts, but most providers are willing to work with you and will offer incentives after that initial 12-month period is over (such as free premium channels). But in order to keep your bill low, you'll have to pay attention to price hikes after your first contract period is over and make a phone call in order maintain a lower bill. If you're willing to pay for extra features, our list gives you that flexibility. Think about what kind of TV viewer you are when determining what features you actually need. Do you want to record shows on a DVR so that you can watch them after they air? Do you need whole-house DVR so you can watch whatever you record in any room? Do you want to see shows on-demand at your leisure? Do you want the ability to watch TV on a mobile device? Of course, all the features you want are pretty much useless if you don't have picture or sound. With DIRECTV and DISH, bad weather can knock out your satellite feed. And while more durable against Mother Nature, cable TV isn't immune to service interruptions either. DIRECTV is second to none amongst HD channels, and in today's day and age, HD has become the norm, though standard definition still exist. For sports fans, no one offers a better package than DIRECTV's NFL Sunday Ticket. While it costs an additional fee, most football fanatics are willing to pay for the ability to watch any football game in any region. Tip: The current season of NFL Sunday Ticket is now included with DIRECTV's Choice Package and above. Subscription will automatically renew at the prevailing rate for the next season, unless you call to cancel beforehand. 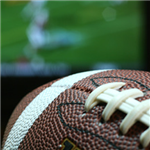 Due largely in part to NFL Sunday Ticket, DIRECTV is the satellite market leader and is gaining on the cable subscriber base as well. In a recent article, Forbes reports that "DIRECTV is the second largest pay-TV operator in the U.S. with more than 20 million subscribers. While the country's pay-TV market is saturated, and cable companies have lost thousands of subscribers over the past few years, DIRECTV has managed to grow its subscriber base." Exceptional HD picture and good sound. "The Genie," DIRECTV's whole-home DVR system, is convenient and reliable. And now that DIRECTV is part of AT&T, you can bundle your cell phone, home phone and Internet service with your satellite TV, providing additional savings. Even without the added cost of NFL Sunday Ticket, it gives you great sports programming, such as regional games and matches that aren't available from other providers. For an additional cost, you can watch both live and pre-recorded TV on different platforms on your mobile device. 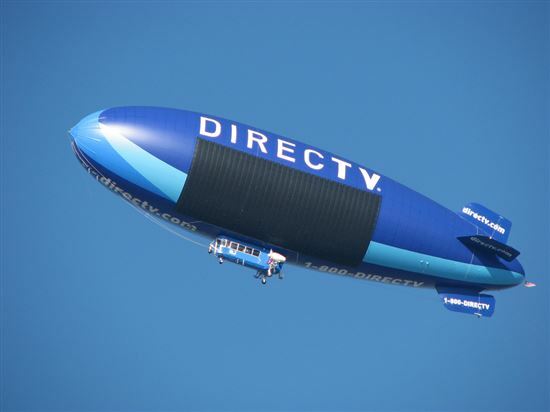 DIRECTV also offers great deals for new customers and free installation. If you're a long-time customer and have an issue with rising costs, DIRECTV will offer you freebies (like free premium channels for three months) as well as whatever discounts the company can find to apply to your bill. DIRECTV's Genie DVR has less hard drive capacity than DISH's Hopper, meaning you can't store as many of your favorite programs. Weather-related issues can affect your TV-viewing experience. DISH Network has a wide variety of programming and offers an extensive variety of international channels. Their picture quality and audio are excellent. They also offer really great deals for new customers with free installation. Their whole-home DVR, "The Hopper 3," has a huge, 2TB hard drive capacity. That's a lot of saved episodes of Game of Thrones. It also allows you to record 16 TV shows at once and is the only DVR to allow you to "hop" through commercials -- a real plus for consumers and a real bummer for advertisers. It also offers "The Tailgater," a portable satellite that allows you to watch television anywhere. There are some popular networks DISH doesn't give you or only includes in the much costlier packages. Since it's a satellite affixed to your house, weather can interrupt your service. People and families who like to record multiple TV shows. It's also ideal for those who want a lot of on-demand programming. In the past few decades, cable TV has been the most popular service provider in America. The equipment is less cumbersome. All you need is a set top box and you don't have to put anything on your roof or balcony. In addition, cable service providers rarely require a contract. With advancing technology, cable's digital picture quality is giving satellite a run for its money. In general, cable TV offers more on-demand movies for film buffs. And cable providers are going beyond TV viewing, offering alarm systems and even remote access systems for managing lights and thermostats. It rarely has weather-related outages. Most cable companies also offer Internet and home phone service, which can save consumers a lot of money when bundled. The availability of home security systems and the ability to remotely control home systems, such as lights and carbon monoxide detectors, is also an attractive wave of the future. Cable TV packages are usually more expensive than satellite. The picture and audio quality are generally not as high quality as satellite's. It's also not accessible in more remote places. 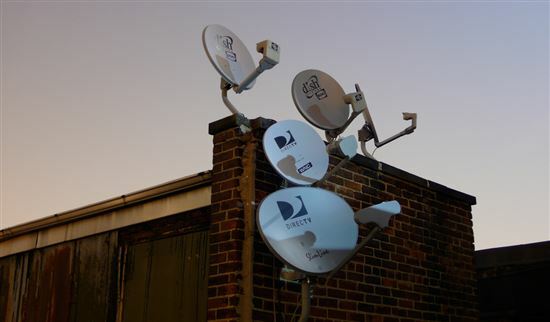 Consumers who don't want, or aren't allowed, to place satellite dishes on the exteriors of their dwellings. People who want the most on-demand programs. People who want a one-stop shop for home security, home control, and their TV, Internet and phone services. Verizon FIOS, a fiber optic network, and AT&T's U-verse (similar to cable, but a different technology) are also competitive choices for television service. There are always mergers and acquisitions happening in the paid TV subscription space, which leaves things a bit up in the air in regards to costs and quality. In the end, the best TV service provider for you will depend on several factors: your location, your viewing habits, and your budget. Look for the provider who has the channels you want and try to find the package that's most suitable financially. New customers always get better deals, but don't be afraid to negotiate a lower fee if you're a long-time customer as most providers will offer some kind of incentive to keep you watching. 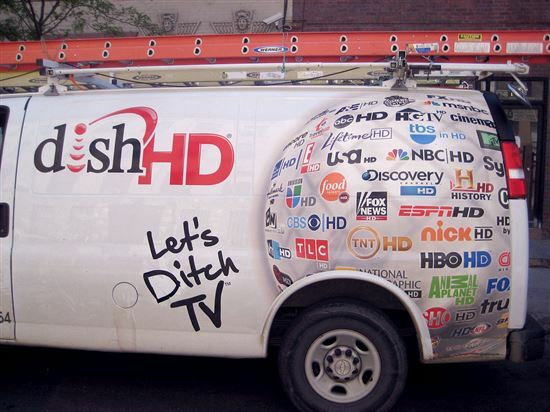 Share on Facebook "Study: Best TV Service Provider - DIRECTV vs DISH vs Cable"